June 1st 2018 - Dorado Beach, PR. 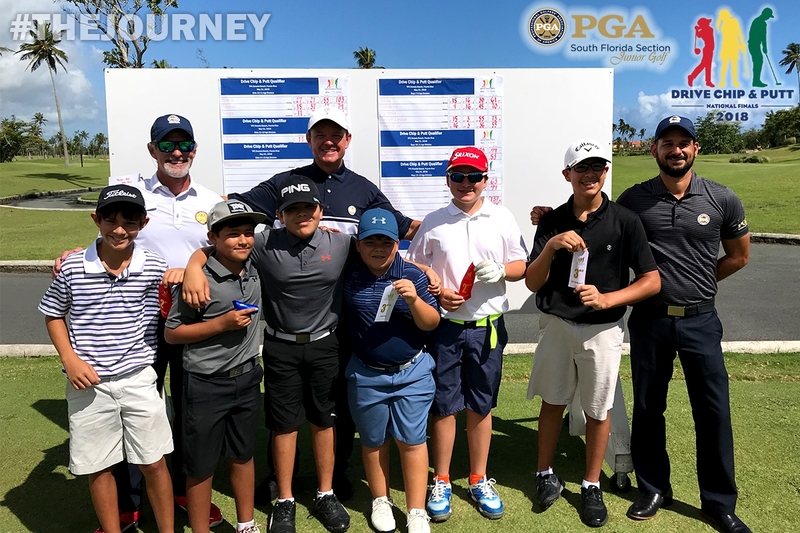 – Thursday, May 31st the South Florida PGA held the very first Drive, Chip, and Putt of 2018 at TPC Dorado Beach in Puerto Rico. This was our third time hosting an event in Puerto Rico and we are fortunate to have the opportunity to conduct a qualifier for these juniors! .Every participant went through each station starting with putting then chipping and rounded out with driving. We are excited to announce the following individuals who qualified to move onto the sub regional qualifier at Lost Tree Club set to be held on August 18th. For the girls divisions there were a total of 4 participants who qualified. From the girls 10-11 age division Krishny Elwin of Bayamon finished in first, Santo Domingo native Sophia Matos came in second and Keishlyan Vega of Bayamon finished in third. From the girls 12-13 age division Camelia Mujica of Guaynabo will be the only participant moving forward to the sub-regional qualifier. For the boys divisions there were a total of 10 participants who qualified. From the boys 7-9 age division are Fernando Javier Leduc of San Juan, San Juan native Markus Cordero, and Michael Avila of Ceiba. From the boys 10-11 age division are Evan Pena of Bayamon and Carolina native Gabriel Rivera. In the boys 12-13 age division are Sergio Gonzalez of Toa Baja, Caguas native Esteban Hernandez and Joaquin Meugniot of Guaynabo. Finally, in the boys 14-15 age division are Bayamon native Jose Mcanales and Ianmikel Garcia of Carolina. The next Drive, Chip, and Putt local qualifier will take place on June 4th at PGA Center for Learning and Performance. We will have a total of 84 participants competing for a spot at the sub-regional qualifier at Lost Tree Club on August 18th.